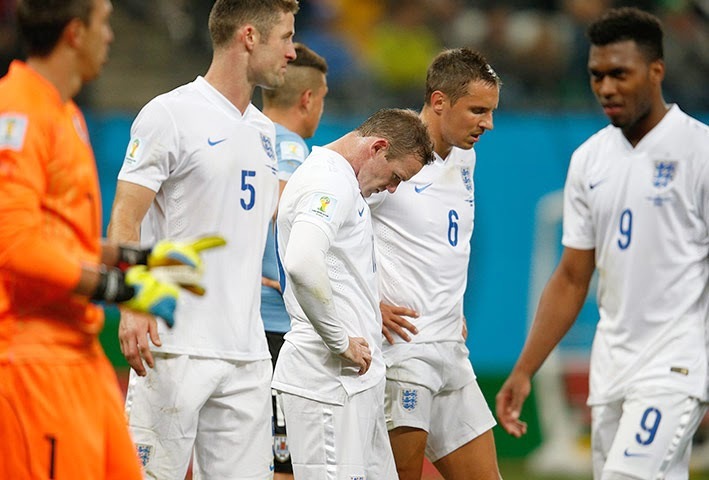 Home » 2014 World Cup , England , Joe Cole , luis suarez , Paul Gascoigne , steven gerrard , Wayne Rooney , WC2014 » White Shirts, Red Faces - What Now for England? It's not even the losing, it's the hope of something better that always kills me. 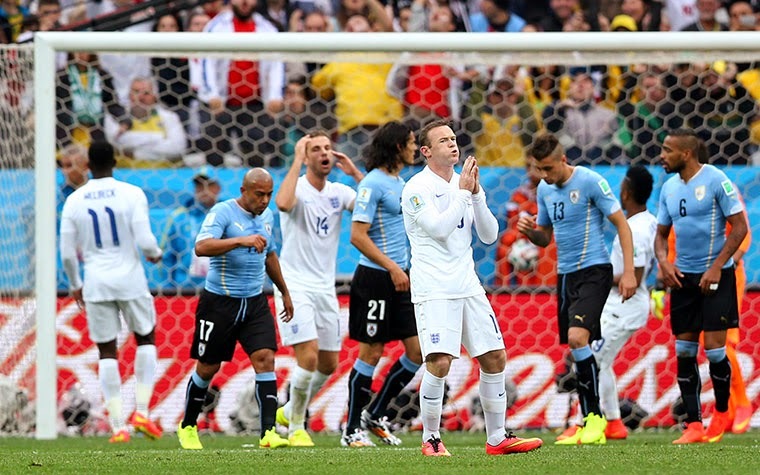 On June 19, 2014 England, barring a miracle, crashed ingloriously out of another World Cup. It has now been 48 years since England lifted the World Cup and in that time they've only made it as far as a Semi Final once. For the birth place of football, and the home of the most watched domestic league in world, it's a very bitter pill to swallow. 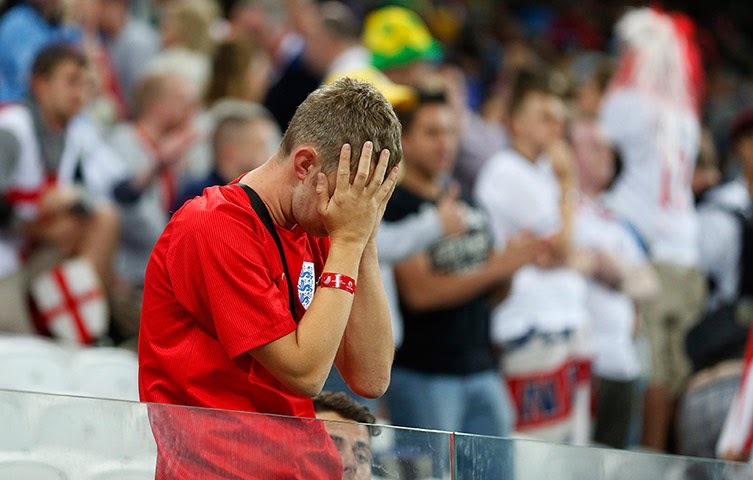 Lacking in creativity and tactical nous, England have fallen time and again when faced with high calibre opposition, and it doesn't look like that will be changing any time soon. So why is English football in its current mess, and why are they so far off the top sides in the world? When I skim through Twitter and look at the Facebook posts of the people back in England one of the main themes is always, "they lacked passion!" I don't agree with that. Passion alone doesn't win matches. Besides that you need skill, technical ability, intelligence, concentration, invention, tactical awareness and organization to win matches. Beating your chest and roaring isn't enough. Therein lies the problem at the heart of the English game. As long as supporters value graft instead of craft, we'll insists players "put a shift in" rather than focus on developing two footed, intelligent footballers. Even when a rare diamond emerges, like Paul Gascoigne, Michael Owen, Joe Cole, or Wayne Rooney the bit of magic is either coached out of them by tactical inflexible coaches, they're overplayed and injured, or their own excesses bring them down. England does produce good players, there's no doubt about that, but they produce next to no great players and even the good ones that form the national side end up being less than the sum of their parts. These good players often seem either technically inferior against top international sides or are found wanting in the tactical know how to react to different situations in a match. After Thursday's loss to Uruguay the knives might be out for Roy Hodgson, but in all honesty who would you rather see in charge? There's really no qualified English coach that could take the reigns and the Football Association seems loath to seek a manager from outside of the country again. But there lies another problem for England, the lack of enough qualified coaches that are able to take on the high pressure jobs in England and bring through the next crop of young English players. It's quite telling that no English manager has won the top division's league title since Howard Wilkinson with Leeds United in 1992 and very few English managers are in charge of top Premier League clubs. One of the players that will come under major scrutiny following yesterday's match will be Steven Gerrard and perhaps rightly so. 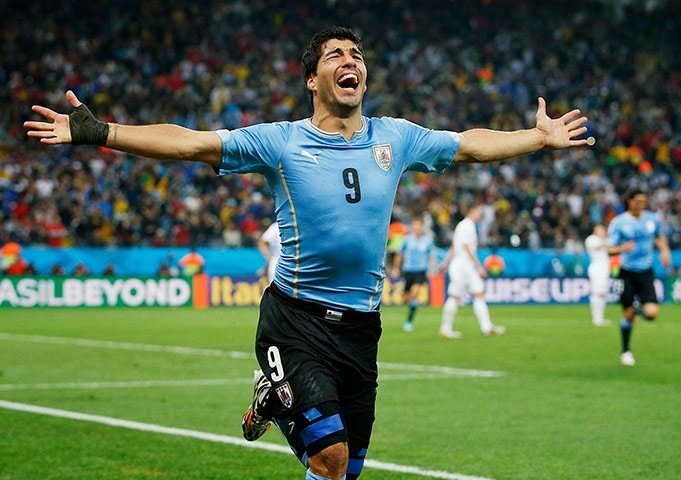 For a player who has produced so much at club level he has never truly shone for England and was at fault for both of Luis Suarez's goals for Uruguay. He's surely done at this level now and his club mate Glen Johnson's days in an England shirt, despite an impressive assist for Wayne Rooney, must be numbered as well. Defensively England were a shambles and even though they dominated possession they had no tempo and couldn't move the ball around at pace. For those of us that support England we know going into a World Cup that we aren't going to win it, which is sad in itself, but all we ask for is for the side to give us something to cheer for. One Semi Final appearance since that sun washed day at Wembley in 1966 is scant reward for so many of us that have spent so much financially, and emotionally, following this team.